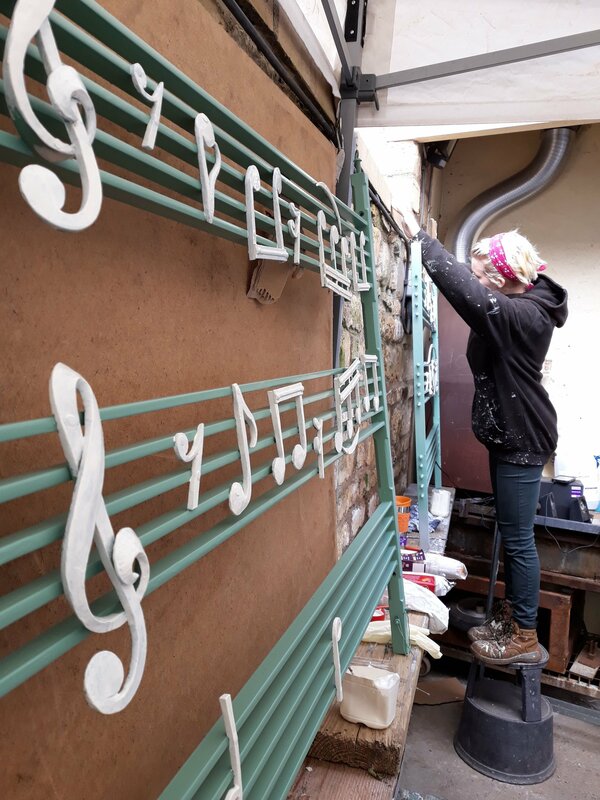 The BathIRON balustrade is in its final stages of completion before installation in Parade Gardens, Bath this April. 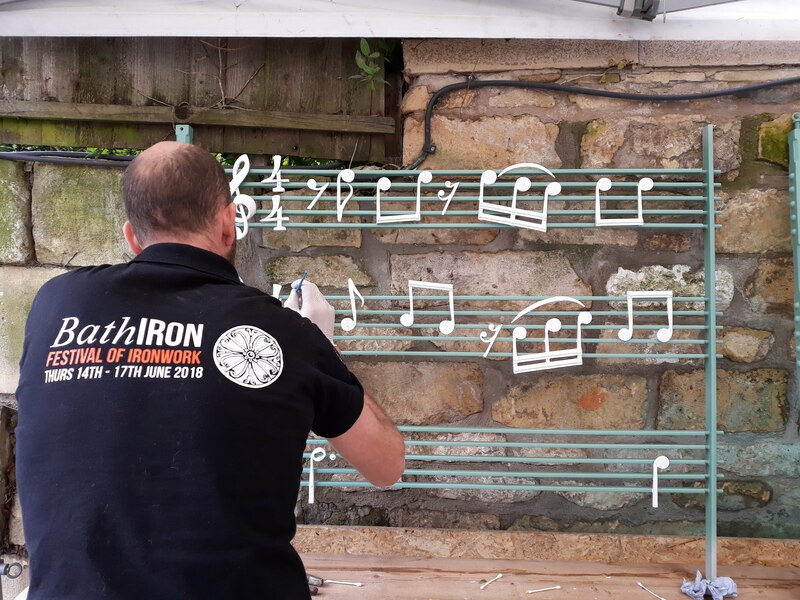 It was galvanised in February in Newport, Wales and has been at the Ironart workshops this March, being fettled and painted. 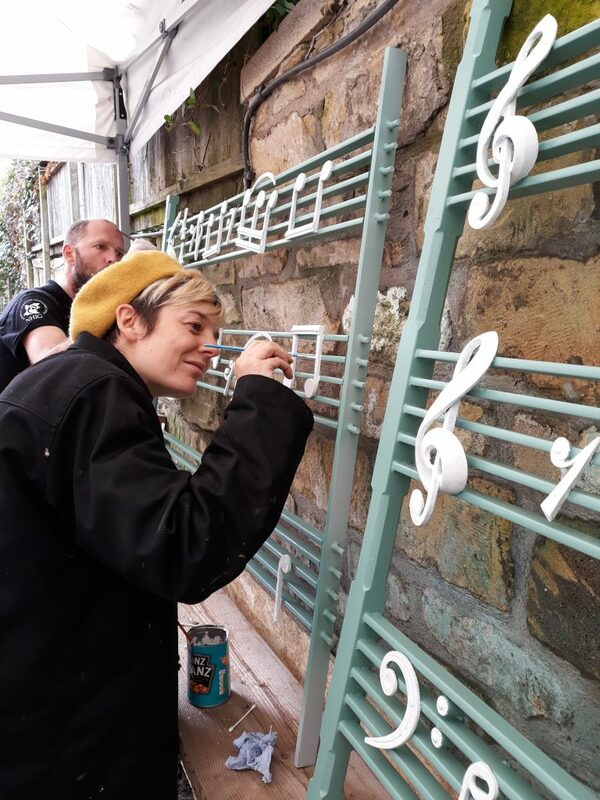 We were really happy to host a volunteer Painting Party on Sat 23rd March, where we invited volunteers to come and help us to hand paint the 300 or so musical notes. 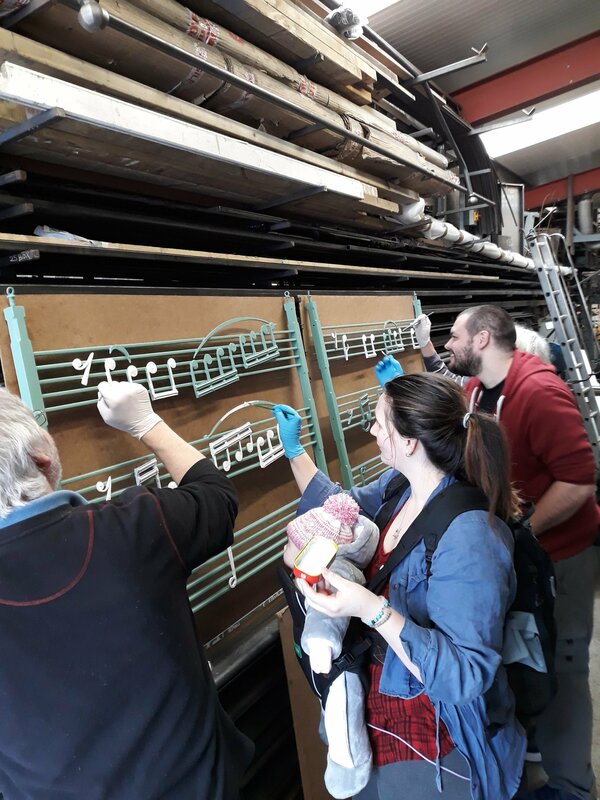 This was a great opportunity for volunteers to come and lend a hand and see the multiple layers of process that have gone into making this amazing bespoke artwork a reality. 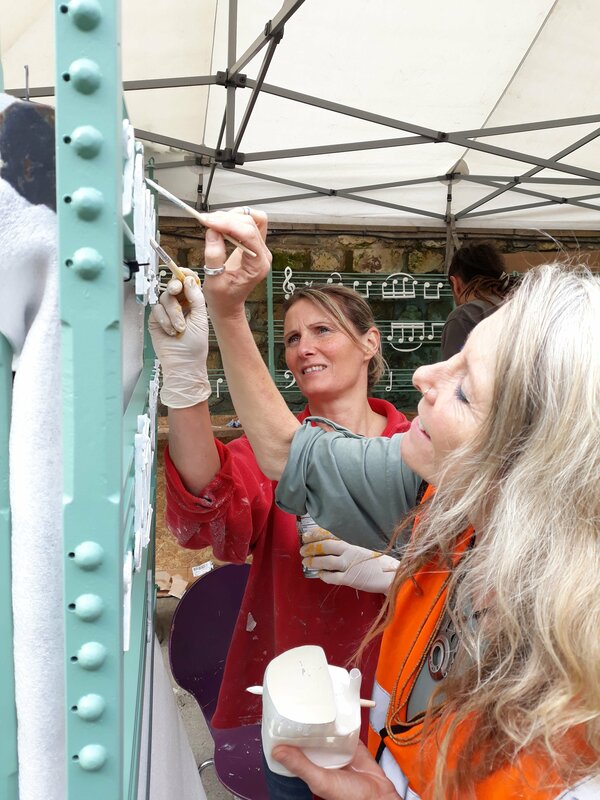 We were delighted that people from all walks of life came down to do join us note painting, at times we had as many as 20 people painting, including three generations of one family! 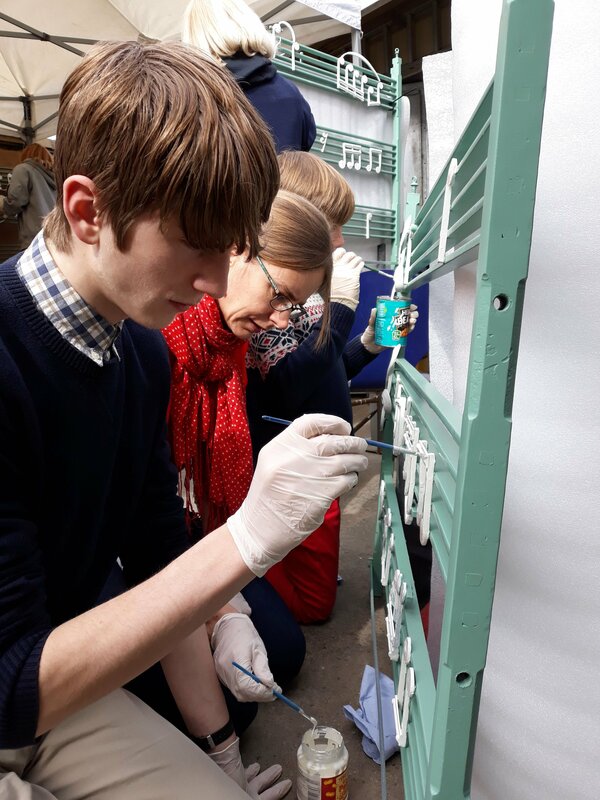 There is still some painting left to do, but it is great to have broken the back of it. 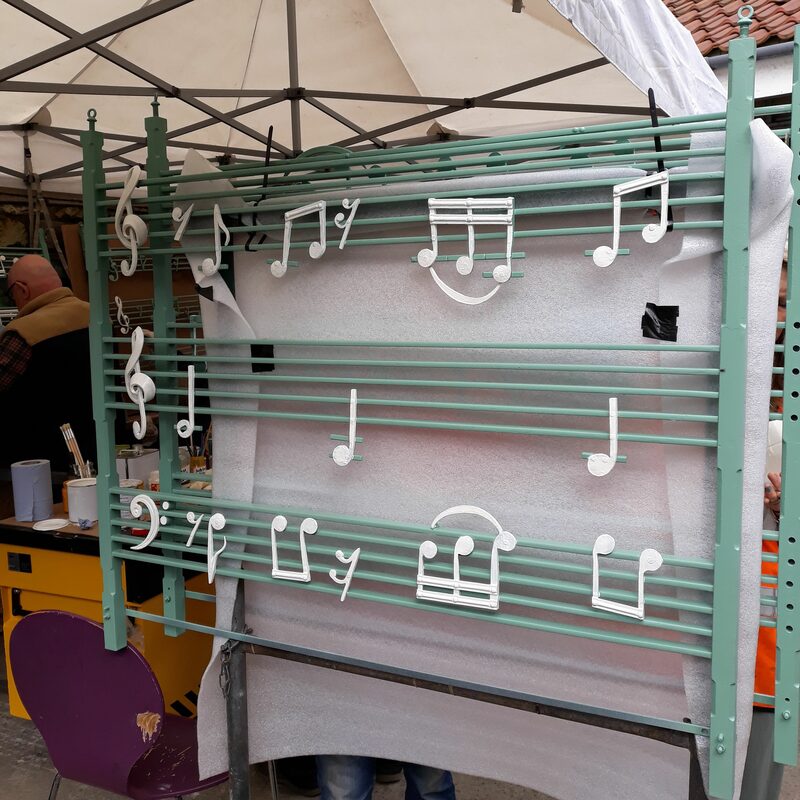 We are really looking forward to seeing it installed in its final resting place in Parade Gardens, Bath. There will be a celebration event called FireFOLK as part of the Bath Festival on the evening of the bank holiday Sunday 26th May 6 -10.30pm. Do come along and join us, you can find out more and buy your tickets here, hope to see you there. Two years ago the main Rood Screen at St John the Evangelist in Bath was fully restored and re-gilded. 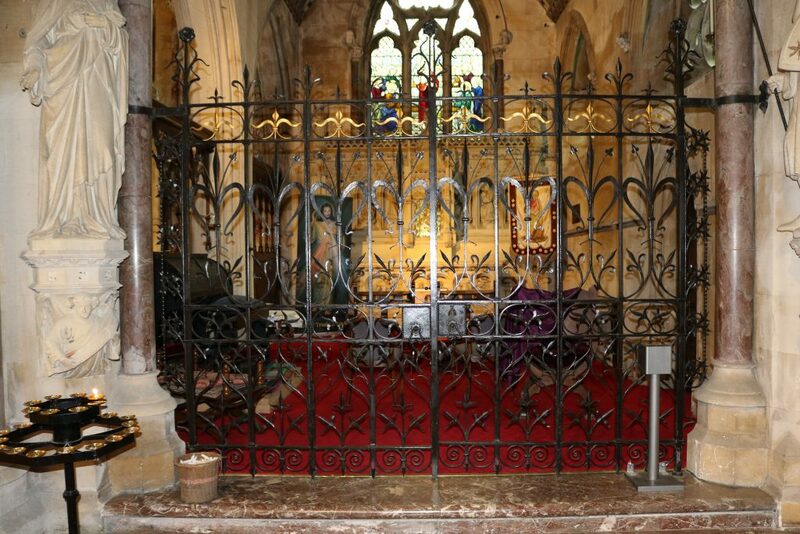 Since then we have been asked to quote for the restoration of the side screens and happily we have been commissioned to do the undertake the work to these beautifully made traditional iron folding gates. 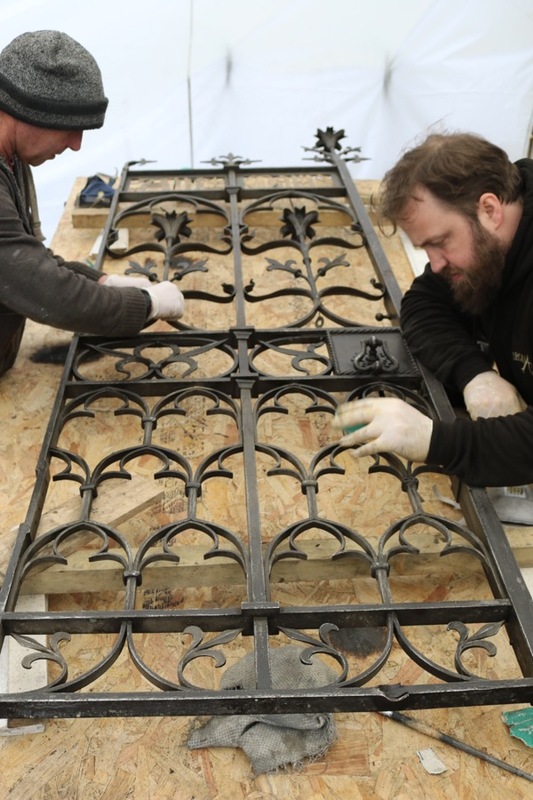 We are excited to have the opportunity to work on such a stunning piece of local heritage ironwork. The job involves the removal and restoration of these panels that sit either side of the main alter in St Johns. 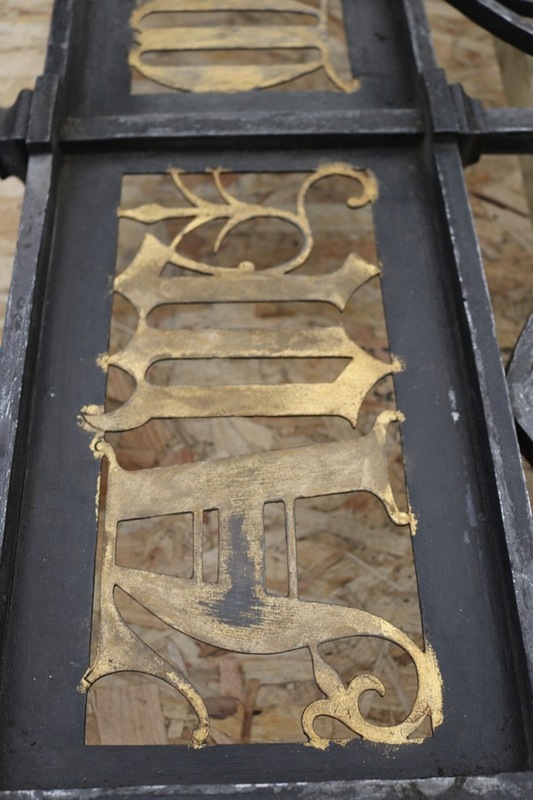 They were originally made in 1905 and each gate has slightly different designs and motifs. There is some bomb damage with a scattering of shrapnel pock marks from when the neighbouring presbytery was badly damaged by a bomb which fell in 1942. 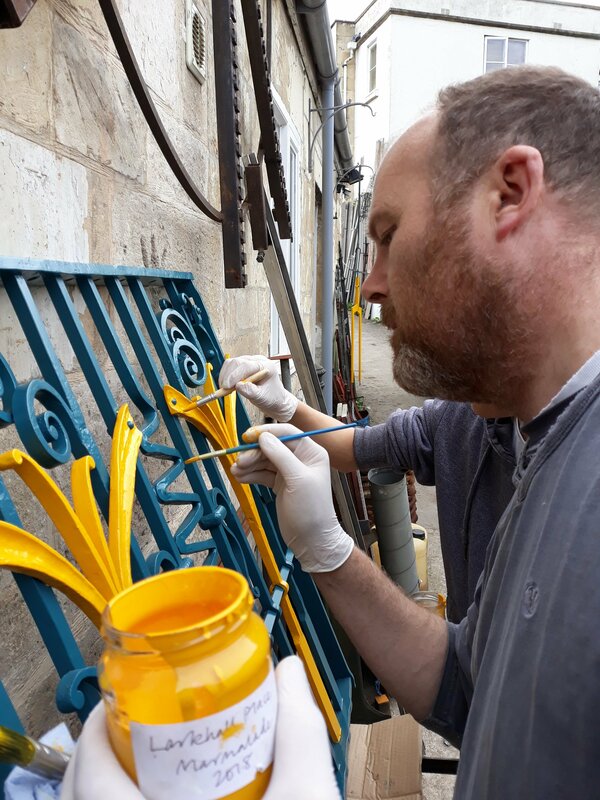 The gates are covered in an old shellac lacquer which will be removed as will any corrosion as part of the renovation. 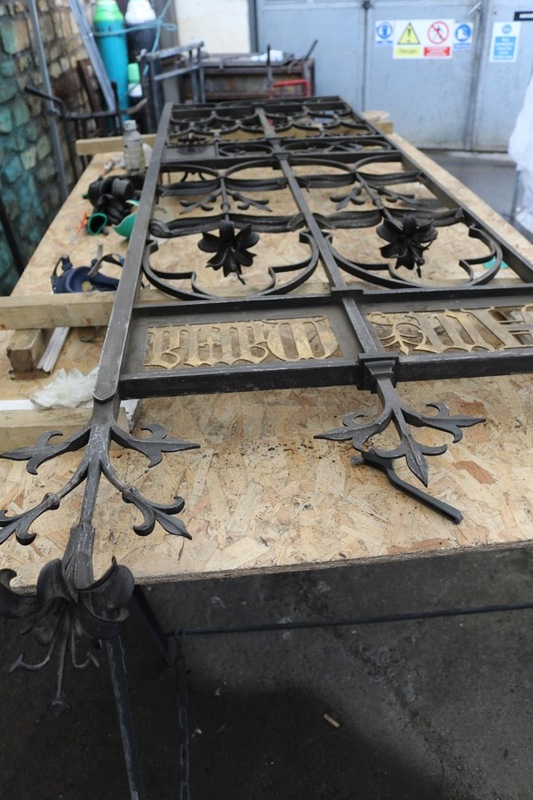 The one or two missing parts will be hand forged and replaced and it will be repainted in a matt black paint with gilded highlights to reflect similar gilding on the renovated rood screen.